Assumption School has a long tradition of academic excellence and our faculty takes pride in providing a safe and secure learning environment where children come first and grow spiritually, morally, academically and physically. 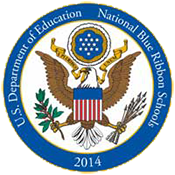 We are AdvancEd accredited and have been recognized nationally through our Blue Ribbon status. We believe that parents are the primary educators of their children and we recognize the importance of home and school working together to encourage our children to become the best they can be in all areas of their lives. We expect all our students to be able to say, “I am larger, better than I thought; I did not know I held so much goodness”. Thank you for entrusting your children to Assumption School. Thursday, April 18 – Half day – 11:00 a.m. dismissal. No after care. Monday, April 29 – School resumes. Please note there will be no breakfast bags for the soup kitchen this day.